I used to go really overboard with my school binders. I would go to Office Max/Target and spend tons of money on brand new cute binders, color-coded tabs, laminated dividers, and labels for every class. I made sure I had a place for EVERYTHING and I kept EVERYTHING in them. And, although it was helpful to have all of that information in one place, a lot of the sections actually just went unused. As time went on, I began to appreciate simplicity a little more. And now I am 100% certain that simplicity = efficiency! The way that I organize my wedding folders now, I actually learned while I was wedding planning! When it comes to wedding planners, there are some that are huge, excessive, detailed, and expensive. But honestly, all you need is a list of things left to do and a list of things that are done. A list of things to do and a place to keep receipts of things that are complete? Sounds a little like coursework, doesn’t it? I thought so, too! Here is my newer, simpler, efficient-er way of organizing schoolwork! Once I get my syllabi for my classes, I open it to the page with all of the due dates and place it into the right side of the folder. This makes it super easy to check what chapter I need to read this week, or when that next big project is due. As the semester goes on, I highlight the current week in yellow and re-highlight it in pink when the its complete. At the beginning of the semester, I go to the campus computer lab and print out the directions for every project. Then I put these into the left side of the folder and order them according to their due dates. If I have a physical copy of my current work-in-progress (presentation outline, rough draft, study guide), I keep that on the left side along with its instructions. OCD SIDE NOTE: I also like to use index cards to keep track of individual assignments because I can paperclip them into my class folder, into my planner, or hang them on the wall. It’s just a quick reference for the when, what, how much, and basic instructions of each assignment. Once graded assignments are returned, I place them behind the syllabus on the right side of the folder. I only keep my graded assignments. And actually, thanks to the semester assignment spreadsheet, I could even do without keeping those papers (but I just like to). Create a folder at home for class handouts. Ending the semester with a ton of miscellaneous handouts that you may or may not use in the future is inevitable. 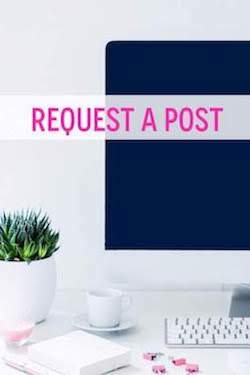 Just create a little file folder at home for those types of papers so you don’t have to carry them around all the time! Of course, there are classes that require more thorough folders (like research projects) but this system works pretty well for basic, “lecture classes"! SUPER simple. SUPER efficient. 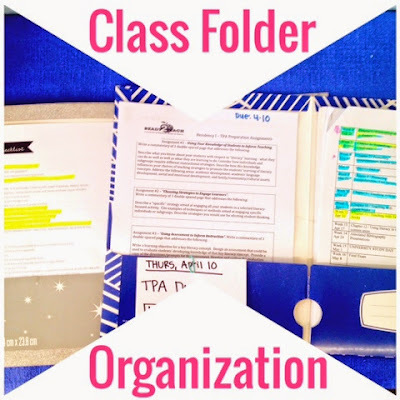 Have you developed a system for organizing school binders/folders? Does it work well? What parts of organizing classwork are the hardest for you? You genuinely have some magnificent plans. You can attempt different things to see the distinction in quality. Surely quality is a viable factor for introduction organizers, which can be found in our administrations. Such a significant number of vivid thoughts you have imparted to us. presentation folders are utilized to keep papers or reports. Introduction envelopes present Company's profile, other information.